but these candles can burn for 5-6 hours and longer without any problems. 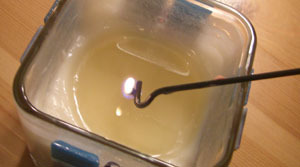 Trim the wick before each use. Wicks should be trimmed to about 1/4" for best burning results. Burn candles away from drafts and never burn near any combustible material like curtains. Never leave a lit candle unattended and keep out of reach of children and pets. Never leave matches or wick trimmings in the wax. the melted wax and lift it upright again. This way there will be no smoke like there is when you simply blow out a candle. Be careful if you need to move your candle. It's best not to move your candle while burning or when wax is still hot. 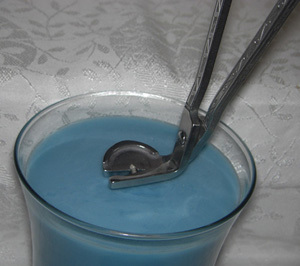 you can remove the wax & wick by dipping the bottom of the jar in hot water until the wax softens around the edges. Dump out the wax and discard in trash (not in the sink). Wash the empty jar with hot, soapy water.